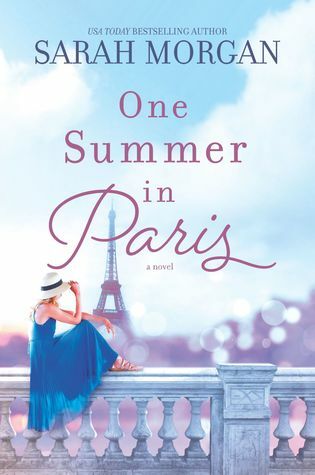 Goodreads: Audrey can’t believe it when her husband of 25 years announces he doesn’t want to join her on their long-planned trip to Paris – he wants a divorce instead! Reeling from the shock, a devastated Audrey makes the bold decision to go on this holiday of a lifetime alone. She quickly strikes up a friendship with 18-yr old Grace, who’s been dispatched to Paris by her mother to ‘learn the language’ – in reality, it’s so her mother can concentrate on her new husband. Heartsore from this rejection, Grace is rebellious, wild, and desperately unhappy. They forge an unlikely bond. Audrey can’t believe the risks Grace takes. Grace can’t believe how lacking in self-confidence Audrey is. Together, over a summer in magical Paris, they’ll help each other overcome the pain they’re both wrestling with and through finding each other, discover stronger, happier versions of themselves. Kritters Thoughts: Audrey is headed to a dinner ready to surprise her husband with the trip of a lifetime as they are starting their lives as empty nesters, he is approaching this phase of life in a different attitude and needs a break from the life they have been living. Audrey decides to take this trip alone and reset her life and priorities. I have really been evaluating my reading recently and really trying to avoid the cheating books. I just don't enjoy reading books where spouses are doing that sort of thing and am just trying to stay away, I committed to reading this book before I started really limiting this in my reading. I am glad I still read this book but there were some moments where I really cringed and and maybe skipped ahead a bit. The moments that I loved the most were between Audrey and Grace. I loved how in Grace's life she needed an Audrey to step and help mentor her through her transition and Grace was able to affect Audrey through this speed bump in her life. It was interesting to read about characters who are not related with this age different really impact each other. I love Sarah Morgan's writing and will always enjoy reading books, I just didn't completely love the subject matter of this one, but didn't take away from my love of her as an author. Disclosure of Material Connection: I received one copy of this book free of charge from Aro Publicity. I was not required to write a positive review in exchange for receipt of the book; rather, the opinions expressed in this review are my own.